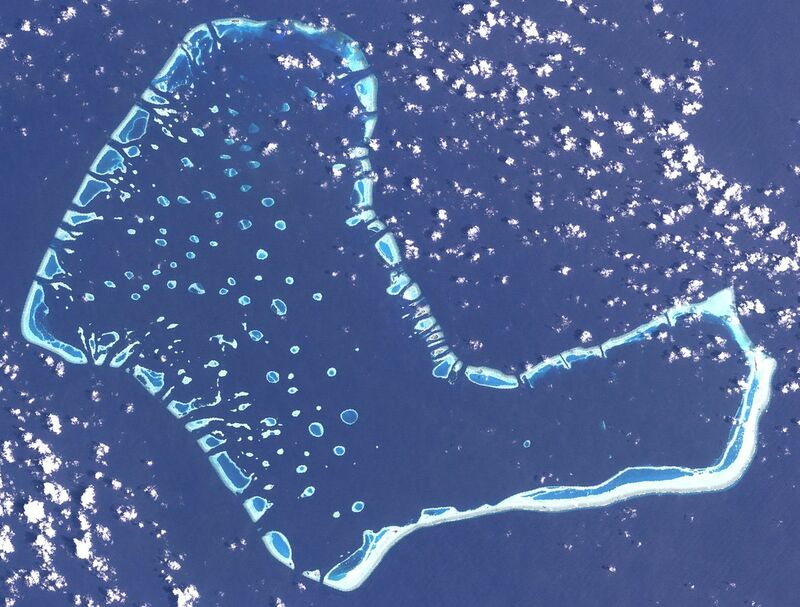 Felidhe Atoll is more isolated and less developed than the other tourist atolls. It has excellent snorkeling, and scuba diving, remote uninhabited islands, sandbanks, and the islanders are friendly and hospitable. Felidhe Atoll is a popular destination for safari dhonis and memorable trips, and excellent diving is guaranteed. There are not many thila dives in this atoll, with most of the diving being in the 26 channels on the eastern side. These channels are mostly long and deep and suitable for advanced divers. Many have narrow entrances, and when traveling down the east side of the atoll, they can quickly be passed unnoticed. On the outside of most of the channels, the reef plunges sharply to profound depths, usually form the outside rim at around 35 meters. During the peak diving season of the north-east monsoon, the current flow inside the channels on the eastern side more often than it flows out, resulting in exhilarating, clear water diving, ideal for viewing sharks and pelagics. The channels on the western side are generally not as exciting as those on the east; however, with the current mainly flowing out of the atoll during the north-east monsoon, these locations have the advantage of attracting manta rays to feed on the zooplankton-rich waters. At the south end of the atoll near the island of Hingaahurra is the remains of the Pioneer, which was wrecked on this reef on May 13, 1958. The ship was on her way from Colombo to Malé when she ran aground. Directly outside the island of Fulidhoo in line with the street that cuts through the island is Fulidhoo Caves. The reef slopes from three to 50 meters with caves and overhangs ranging in depth between 25 and 40 meters. The most interesting feature of this dive is the nurse sharks sleeping in the caves. Also seen are Napoleon, eagle rays, morays, and turtles. 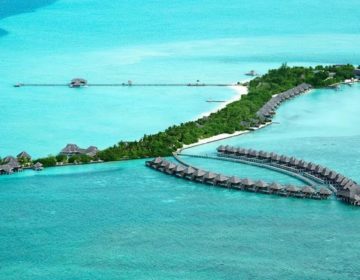 Dive the Fulidhoo Caves and find the perfect hotel here. 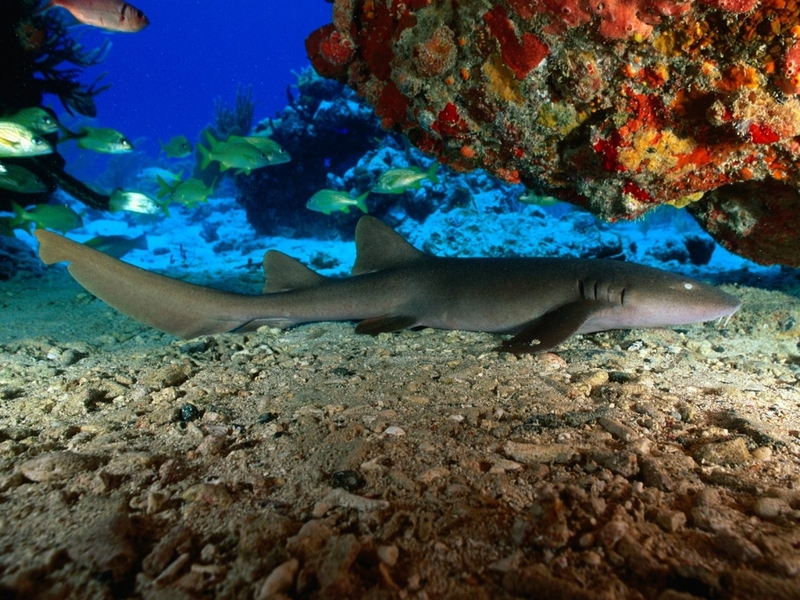 The most interesting feature of this dive is the nurse sharks sleeping in the caves. Ihiga lies on the eastern side of Farukolhu Kandu. The channel is shallow and on the corner are big barracuda, sharks, and tuna. There are also caves on either side of the channel. Fufalhi Kandu is also called Reethi Kandu (reethi means beautiful) and is a shallow channel with caves and overhangs on the outside. 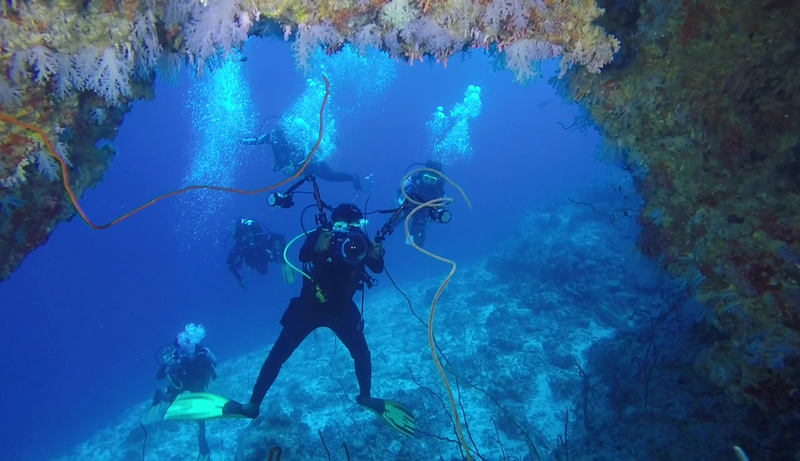 At deeper depths, there are a few overhangs with holes to swim through. At deeper depths, there are a few overhangs with holes to swim through. This is a deep channel with the drop-off on the outside of the edge around 45 meters and both sides of the channel has caves and cliffs. Manta Point lies not more than 200 meters to the east of Dhiggiri resort. 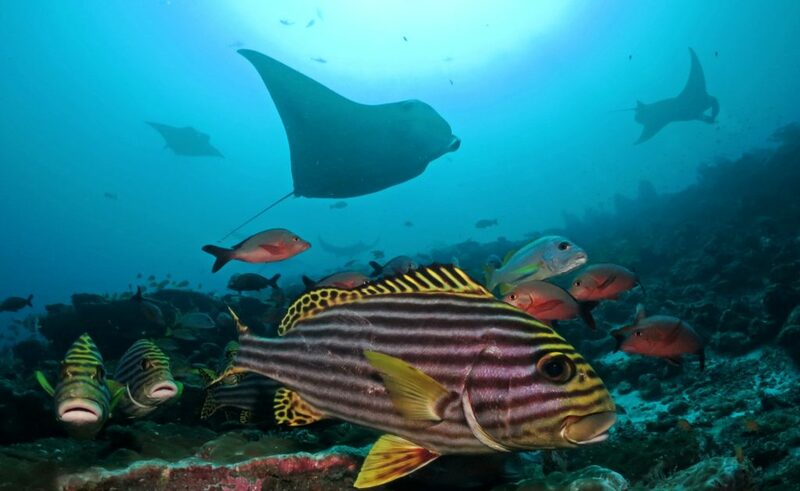 It is a small reef where mantas are seen during the south-west monsoon. The north side of the channel is the deepest part. The entrance starts with sand at 30 to 35 meters and out from the sand are caves deeper than 35 meters. On the sand bed are white-tip reef sharks and stingrays. Inside the channel, the reef slopes between five and 20 meters. The south side of Medhu Kandu is an excellent location for photographers. The outside of the reef slopes from 30 meters to the depths below and on the corner of the channel is a small sand bed at 25 meters. 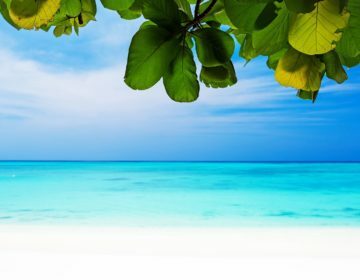 The sand is surrounded by reef, and white-tip reef sharks, eagle rays, sting rays and occasionally hammerhead sharks are found here. Over the shallow reef at around eight meters is more sand and patches of the reef where there is an abundance of reef fish. Photographers can happily spend hours in this area where there is good protection from the currents. The sand is surrounded by reef, and occasionally hammerhead sharks are found here. Miyaru is the Dhivehi name for the shark. On the north, corner is a cave at 33 meters which is an excellent place for spotting grey reef sharks. There are more caves deeper on the outside reef. White-tip and black-tip reef sharks can be seen inside the channel. The channel between Vihamaafaru Falhu and Kudadhiggaru Falhu is divided in the middle by a 250-meter long reef. The passage on the south side of the reef is called Miyaru Kandu by Maldivian fishermen. It is narrower than Bodu Miyaru Kandu, which is the passage on the north side. The entire channel, both north and south passage, has been declared a protected marine area. With an incoming current, divers can experience one of the most exhilarating drift dives in Felidhe Atoll. On the outside reef are caves and overhangs that drop vertically from 30 meters to the depths below. Grey reef sharks, eagle rays and pelagics are seen around the entrance to both passages, mostly during the north-east monsoon. The south passage has large coral rocks blanketed in soft coral with one rising to nine meters. 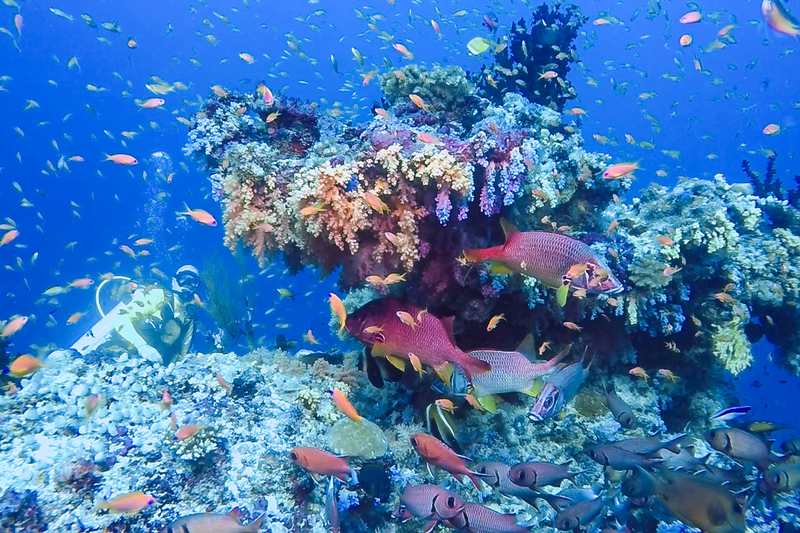 Many reef fish have colonized these rocks, and it is not uncommon to see blue-face angelfish, saddled pufferfish and variegated lizardfish. In the middle of the north passage is a long narrow reef that rises slightly to 15 meters from the sandy floor at around 18 meters. As divers drift into the one-kilometer long channel, the north and south passages join. Coral is spread across the bottom of the 500-meter wide channel at a depth of around 15 meters. To experience this incredible dive, find the perfect hotel here and book now! The best diving is with an incoming current, and because of the size of this channel and the possibilities for diving both the north and the south sides of the channel, boatmen should always be carefully advised of the dive plan. As always, drift diving over coral requires good control of buoyancy to avoid damaging the coral. This is the channel between the two deserted islands of Aarah and Hulhidhoo. The best diving is on the outside reef of Hulhidhoo, which is pointed and shaped like a terraced rice-field with small overhangs between 20 and 35 meters. There are more caves from 35 meters to the sandy bottom at about 55 meters. The reef corner is marked by a cave at about 25 meters alongside a sand plateau with white-tips and stingrays. This corner is a good viewing point for pelagics including barracuda, trevally, and tuna. Inside the channel are more caves, beginning with one at 18 meters followed by many more at shallower depths towards the end of the dive. 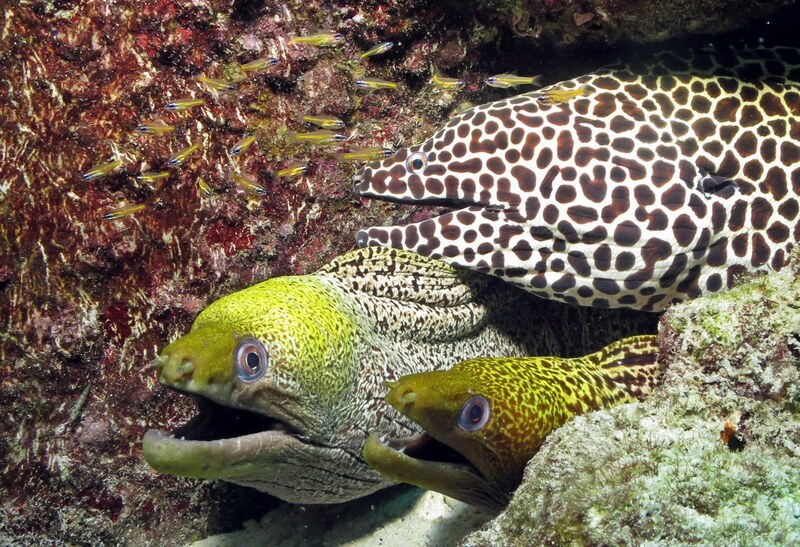 This is a good place to find moray eels, turtles, snapper, Napoleon and reef fish. This is a good place to find moray eels. This is a narrow channel about 50 meters wide between Felidhoo reef and Saalambey Falhu. The entrance to the channel is quite shallow at 16 meters, but the channel gets deeper further inside. In the middle of the channel is a long, narrow reef surrounded by sand and rising to 15 meters. At the entrance is a patch of fire coral and on the north, corner are impressive massive and staghorn corals and a colorful range of soft coral. Sharks are found around the entrance and inside are sweetlips and turtles. The quality of the reef deteriorates inside the channel, but the entrance area is well worth a dive. Sharks are found around the entrance and inside are sweetlips and turtles. The entrance to the channel is from 35 to 40 meters. There are two possibilities to dive here. One is Keyodhoo Thila, and the other is the south side of the channel on the corner of Giraa Falhu. The top of the thila lies at about three meters and descends smoothly to about 30 meters to the bottom of the Kandu. It is a narrow, long thila that begins at the entrance of the kandu and continues for 200 meters inside. On the outside, the thila falls away gradually before a sharp decline to the depths below. The channel has a narrow entrance and in the middle is a mound of coral rising to 25 meters from the sandy bottom at 30 meters. This can be a long drift dive with an incoming current, but divers may prefer to begin their dive 200 meters inside the channel on the northern side where there are calm conditions and a variety of hard corals. A ridge continues to bend into the channel at 15 meters. At this bend, coral covers the reef from 20 meters to the surface. 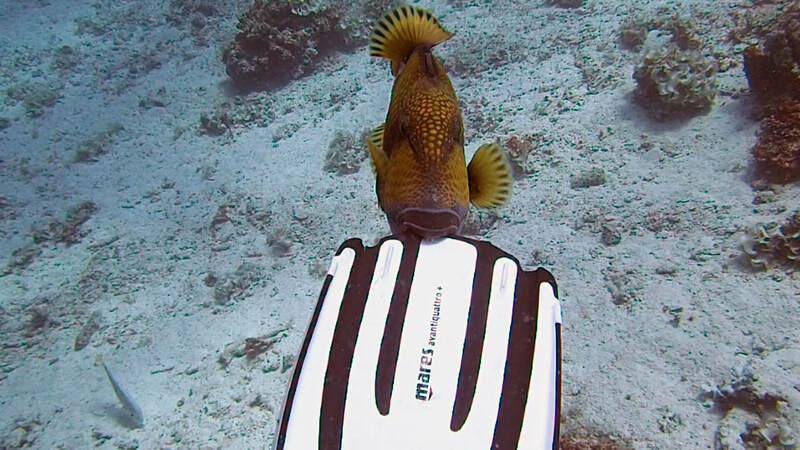 Experience diving at Kuda Kandu by clicking here. The area inside the channel is more protected from the stronger currents and makes an excellent location for snorkelers and photographers. On the east side of Kashavaru Falhu is Lhittolhu Kandum, which divers often call Caravara Bodu. It is a wide channel with an entrance of around 40 meters and pretty coral slopes with plenty of reef fish. Between Maafunkoa Falhu and Fushi Falhu is a site called Caravara Ecola. It is narrower Caravara Bodu and has an entrance at 40 meters with caves in the middle of the entrance. The channel also has pretty coral slopes. Fushi Kandu is the next channel between Fushi Falhu and Dhiggaru Falhu. 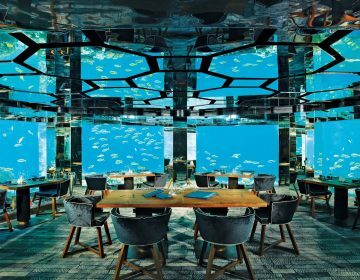 It is similar to many kandus in the Felidhe Atoll with a sandbed on the corner about 30 to 35 meters, a few caves on the outside with sharks and pretty coral and reef fish inside. Fotteyo is regarded by many divers as the best dive site in the Maldives. It is a photographer’s paradise and a mecca for marine biologists and a dive with many possibilities. The best diving is on the outside corner of Dhiggaru Falhu. Divers can start at a bend in the outer reef where there is a big cave at about 30 meters with holes you can swim through. Around the bend near the entrance to the channel is a special place with many caves and overhangs. These caves have a thick covering of wavering soft coral in colors. They look like blooming cherry-blossoms in springtime. Most of the cherry caves are found between 25 and 40 meters, and there are a few arches covered in soft coral, one of which divers can swim through. The outside entrance to the channel at 22 meters is marked by a split in the reef. From here divers can proceed into the channel across a bed of sand with resting white-tip reef sharks. On the eastern side of this sand plateau is the inside entrance to the channel at 14 meters. 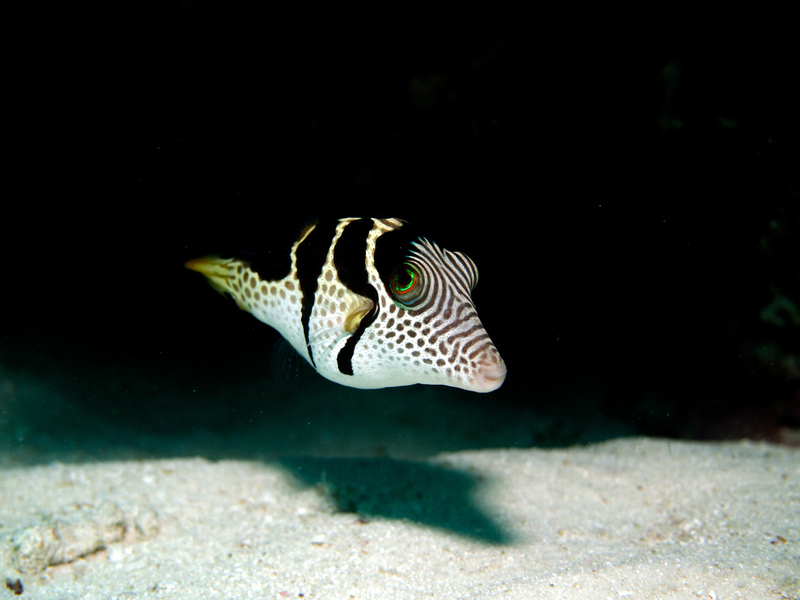 It is characterized by a bed of beautiful hard coral and big schools of sweetlips. Just inside the channel is ‘trigger valley.’ Titan triggerfish are numerous here, and when nesting around the full moon, they become more aggressive. Titan triggerfish are numerous here, and when nesting around the full moon, they become more aggressive. Big grouper can be found in caves on the outside of Fotteyo Thila. At this point, it is also possible to spot eagle rays soaring in the currents. At the entrance to the second channel is a large cave at 18 meters. The channel rises to 14 meters at the pass and inside is a small sand bed at about 16 meters. On the inside of Fotteyo Thila is a mushroom-shaped coral rock at 15 meters. From here the channel opens up to sand and coral-studded bed between 20 and 25 meters. 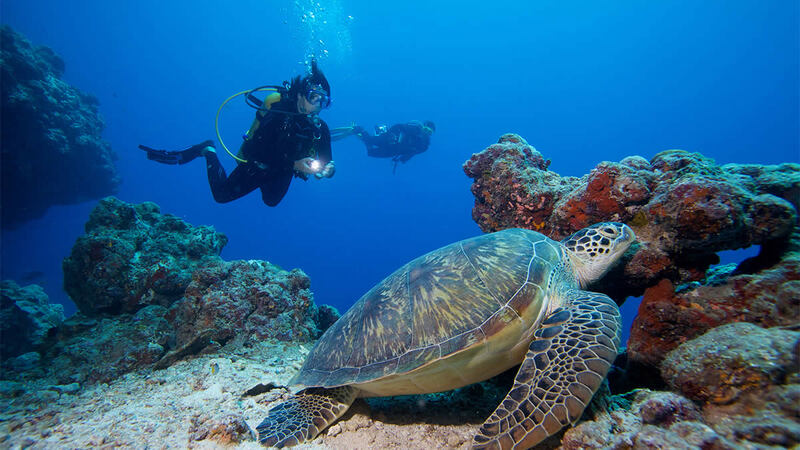 In the course of this dive, it is always possible to see schools of trevally, tuna, barracuda and grey reef sharks on the outside reef; white-tips and stingrays on the sand beds of the channel; and turtles along the channel walls. 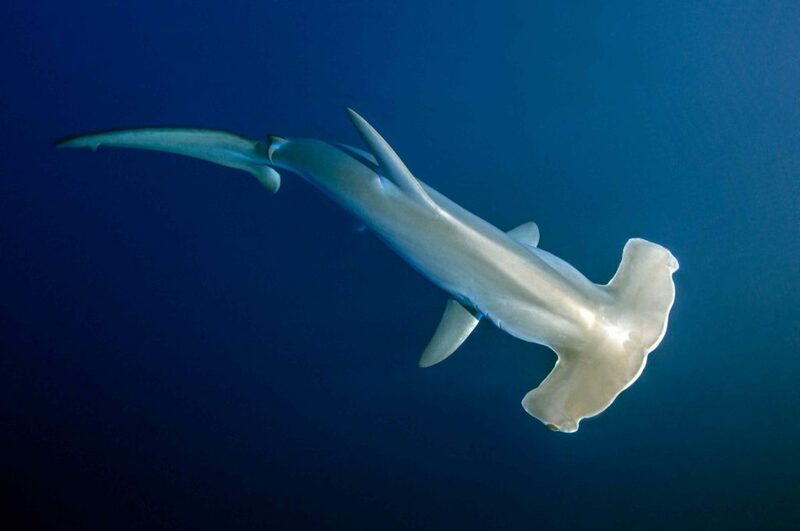 For sunrise divers, there is the opportunity to see hammerhead sharks. Dive best dive site in the Maldives – book here. Fotteyo is regarded by many divers as the best dive site in the Maldives. If currents permit, it is a good idea to finish your dive around the beautiful, shallower sections just inside the entrance at 14 meters. If currents are strong, divers may cross back to the west wall of the channel over a finger of the reef at about 10 meters and then drift into ‘trigger valley’ and finish the dive along the western wall. Another diving option is to start on the reef corner near the cherry caves then swim across the entrance on the outside of the reef to the thila and into the second channel.